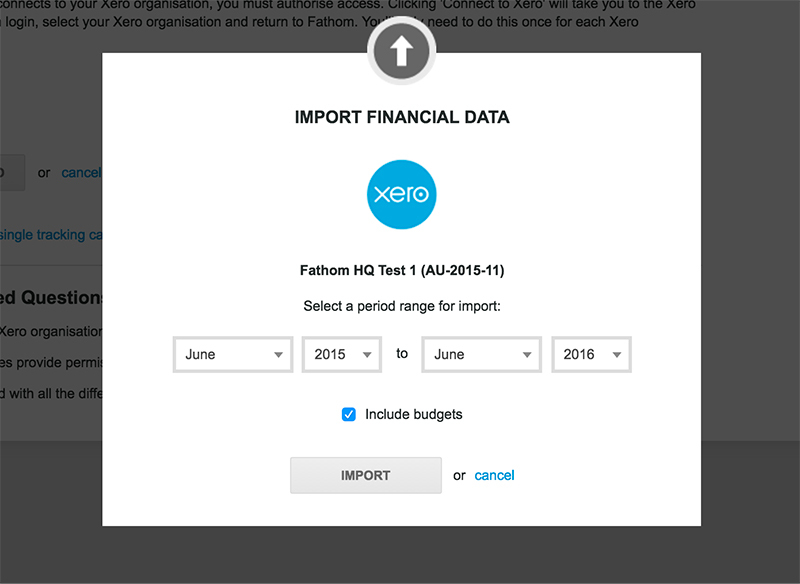 When importing from Xero into Fathom, you can optionally choose to include data for selected tracking categories. Then, select which tracking categories you wish to import for analysis. 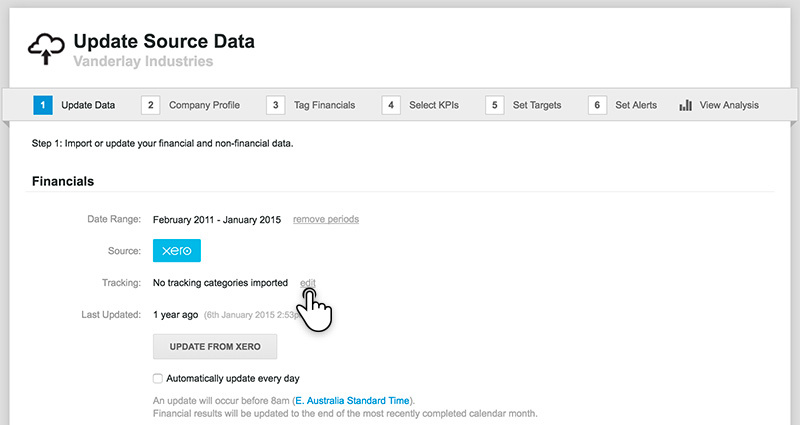 You can choose a maximum of 20 tracking categories per company. After selecting tracking category options, click on ‘Confirm selection’, then 'import' to start the import process. (The import of data for each tracking category may take up to 1 minute, depending on the number of monthly periods to be imported). While the import is occurring, you can keep using Fathom - simply click ‘Continue using Fathom’ to proceed. You will then be notified when the import is complete. 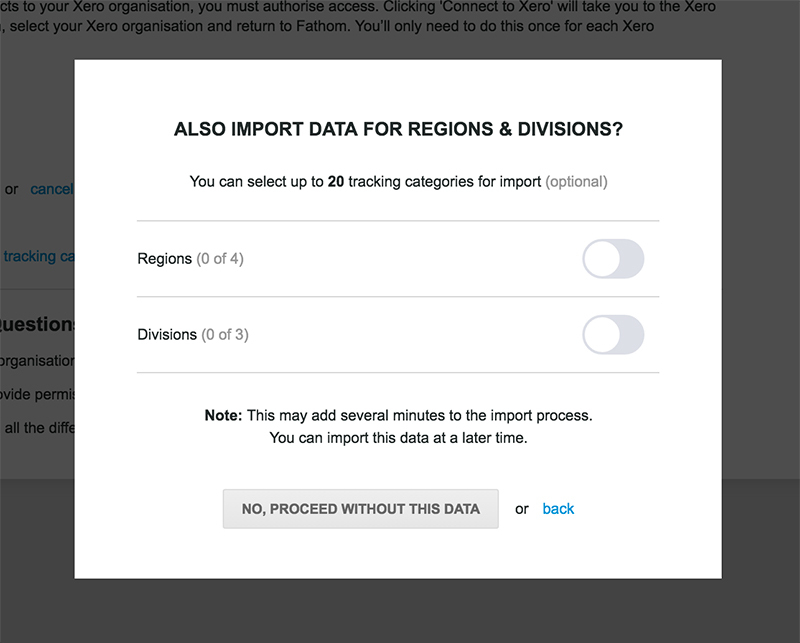 To update the financial results for a company, and associated tracking category data, you can choose to automatically update from Xero each day. 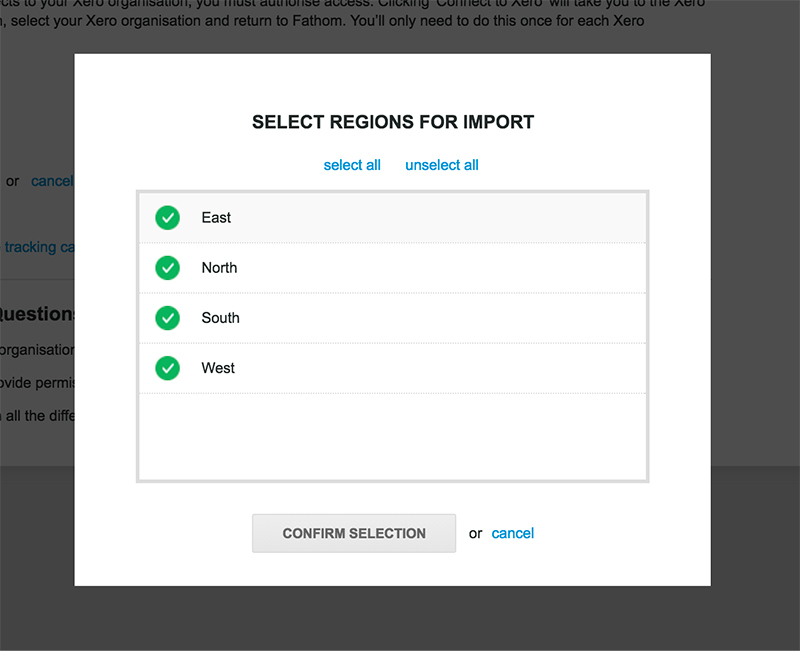 So the results in Fathom will sync with your results in Xero. 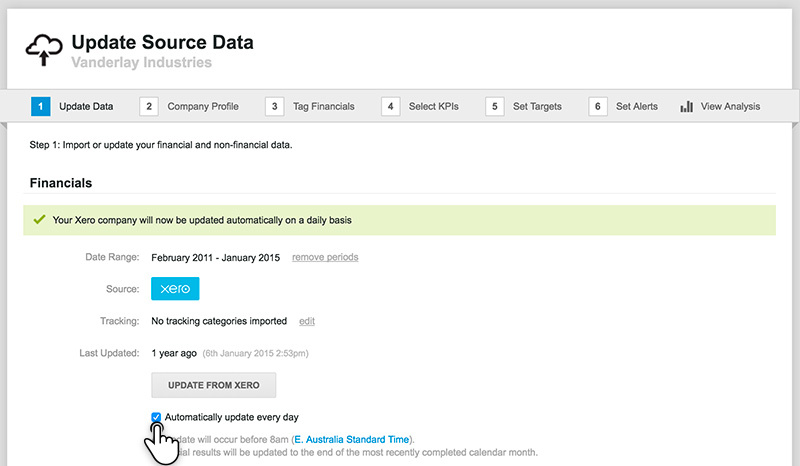 To do this, go to ‘Step 1 - Update Data’ of the company setup > Select the check box 'Automatically update every day'. 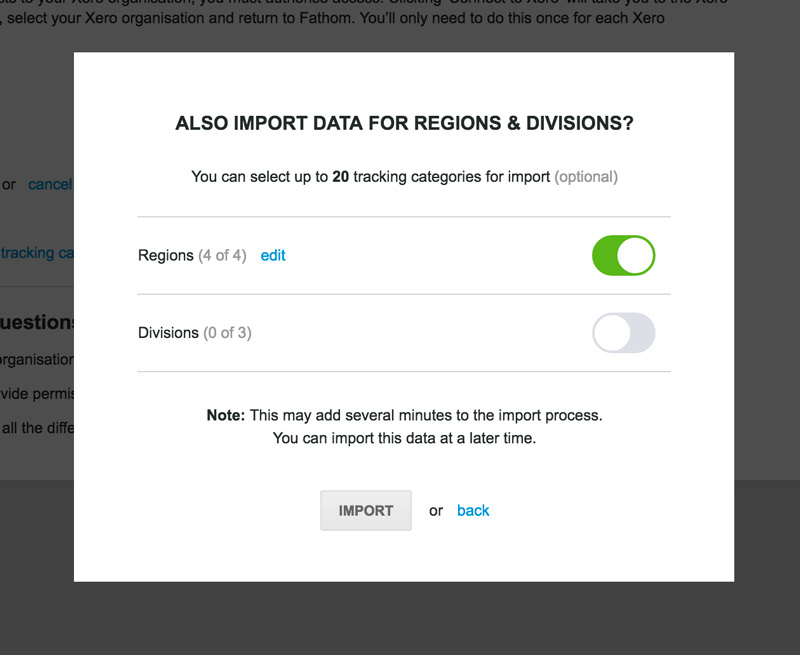 To import tracking categories for an existing company in Fathom, go to ‘Step 1 - Update Data’ of the company setup > then click ‘Edit’ and select which division, departments or locations you wish to include in your analysis.